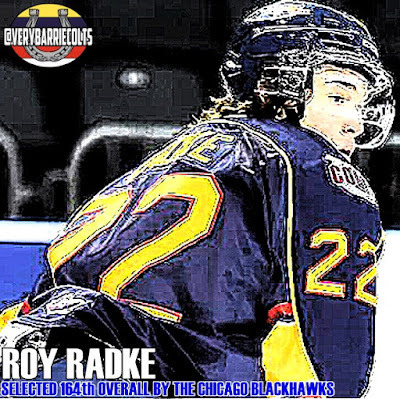 Roy Radke selected by the Chicago Blackhawks. #NHLDraft - Very Barrie Colts | A website covering the Barrie Colts of the OHL. Radke finished the 2014-15 season with 9 goals, 9 assists for a total of 18 points. Congratulations to Roy Radke and the Chicago Blackhawks on the pick! BORN: December 10, 1996 HOMETOWN: Geneva, Ill.